Generate real-time insights and reports accurately and efficiently with a single source of truth. 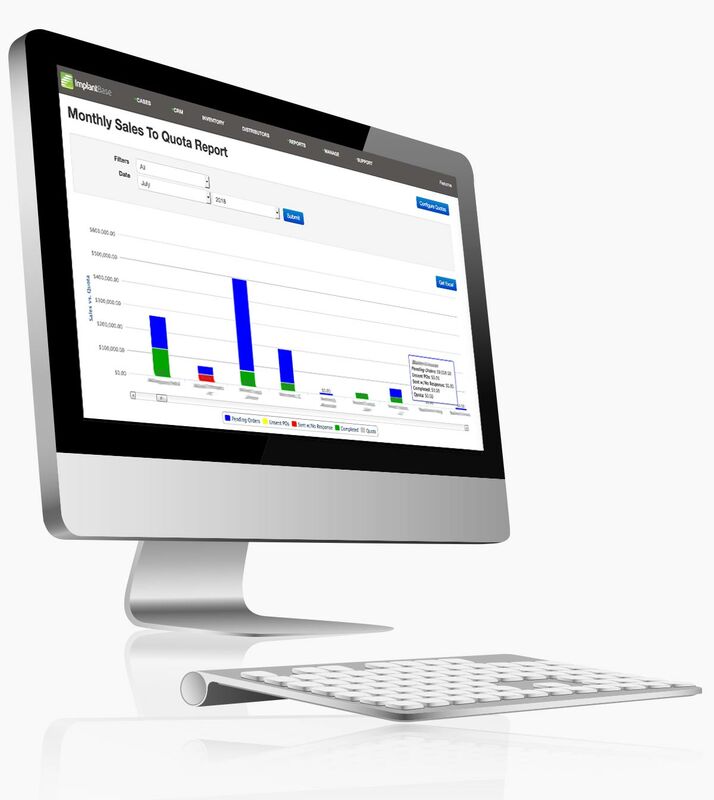 Analyze sales performance across distributors, sales reps, hospitals, surgeons, and products. Manage and utilize inventory better with reports on inventory performance, stock summary, and expired inventory. 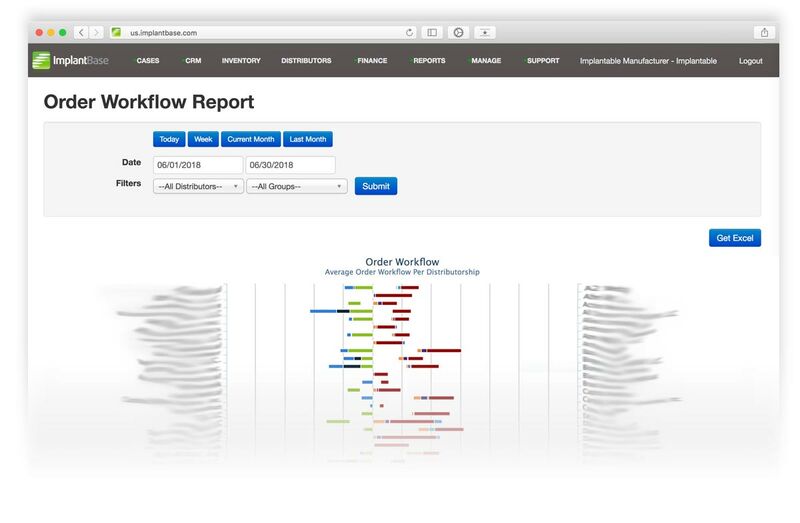 Create a more agile supply chain with reporting on back orders, reorders, line fill, and more. Get paid faster and simplify payouts with reporting on purchase orders, item receipts, and sales commissions. From the back office to the field. Make the most of your time with reporting and insights that give you access to historical data and performance. View sales reports by hospital, surgeon, or product type and access information on inventory fulfillment. 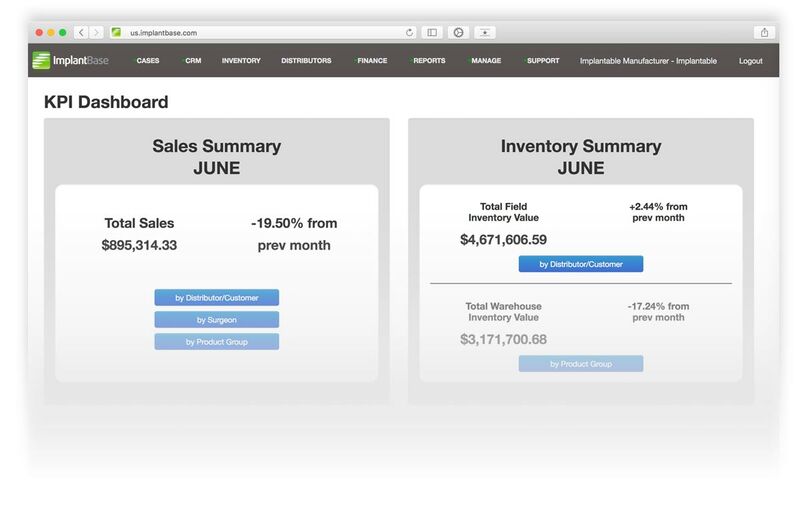 Manage your inventory more efficiently using reporting and insights by sales rep, product, customer, and more for optimal utilization. Assess performance by product, customer, inventory, sales rep, and more. Analyze insights to identify areas for improvement. Use streamlined reporting to receive and process payments more quickly. For me, ImplantBase is absolutely crucial. Both its ease of use and proficiency provide me the reliability of accurate inventory management, sales reporting and archiving history. It’s an essential tool to running this office effectively. 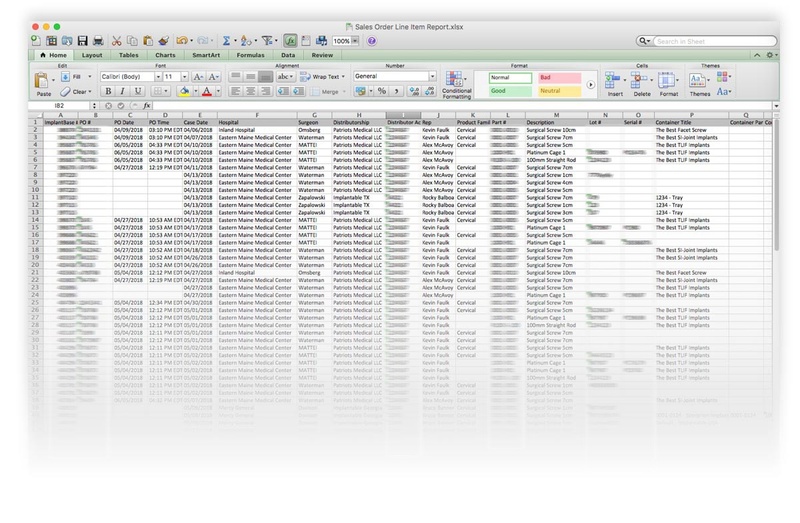 Comprehensive reporting enables you to analyze your business in real time.